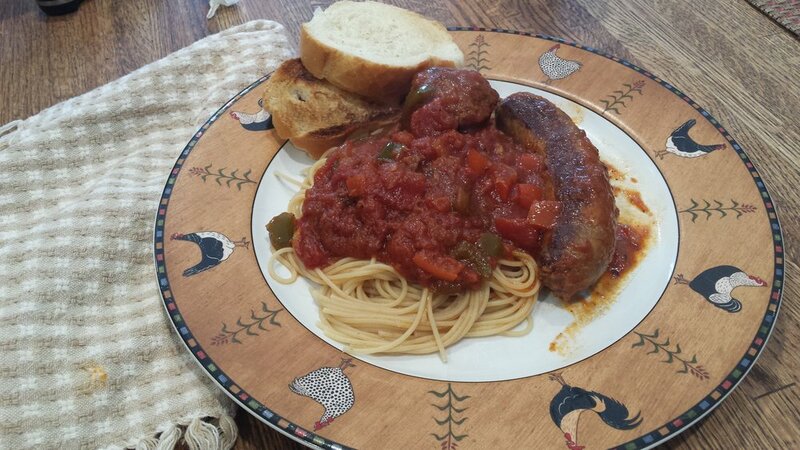 Spaghetti is a mainstay at our house and my husband created a delightful sauce that we make in batches and freeze for our travels. It is terrific over spaghetti, or in a meatball sandwich or just on toasted Italian bread with a little mozzarella cheese and fresh basil leaves. To freeze it, we let it cool and then pour it into freezer bags and lay them flat in the freezer. This method allows them to thaw quicker than if stored in a typical square container. Great in the RV! Melt butter and olive oil together in a dutch oven. When beginning to sizzle, add chopped onion and garlic. Saute until tender. Add both cans of tomatoes and tomato paste then stir. 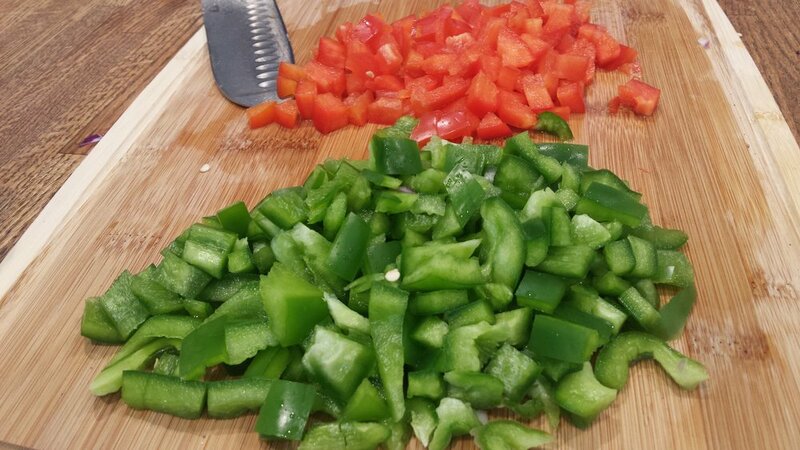 Add green and red peppers. Add oregano, sugar, red pepper flakes and salt and pepper. Stir and then simmer for 2 hours, stirring occasionally. (Optional) Saute the sausage until cooked through, about 20 minutes. Add sweet or hot Italian sausage to the sauce during the last hour for a flavor boost. NOTE: We do not add the sausage to the sauce if we are going to freeze it. Instead, we cook the sausage the day we are going to eat it and drop it into the sauce as we reheat the sauce. Try A Mother's Day Campout!